The improvement of Coffee Lake architecture happens mostly for the i3 models. 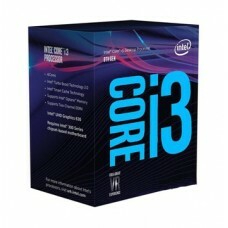 Previously hyper-threaded cores were used in i3 chips but presently four physical cores were used that perform closer to Kaby Lake-based Core i5. This improvement is required to compete with the AMD's Ryzen 3 1300X and 1200 processors. 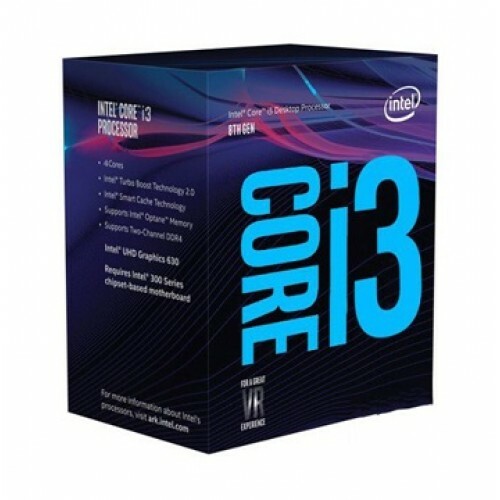 Intel 8th Generation Core i3-8100 processor having the base frequency of 3.60 GHz. It has the SmartCache of 6 MB containing 4 cores and 4 threads. With the bus speed of 8 GT/s DMI3, it has integrated Intel UHD Graphics 630. This internal graphics has 350 MHz of base & 1.10 GHz of max dynamic frequency and 64 GB of video max memory. Considering the memory this processor has dual channel of max 128GB of size that supports up to DDR4-2400 bus speed. Moreover, this exclusive component has the DirectX 12 & OpenGL 4.5 facility supporting 4K resolution at 60Hz. Its maximum HDMI supported resolution is 4096x2304@24Hz and 4096x2304@60Hz is for DP & eDP. 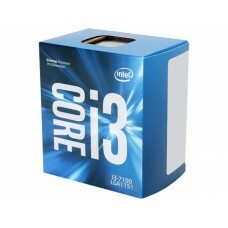 Best package at lowest price available with 03 years of warranty facility for this processor.